“6.8” – that’s this mornings number. “Number” – something too many people get hung up on, and something that makes progress so difficult when a number isn’t reached. 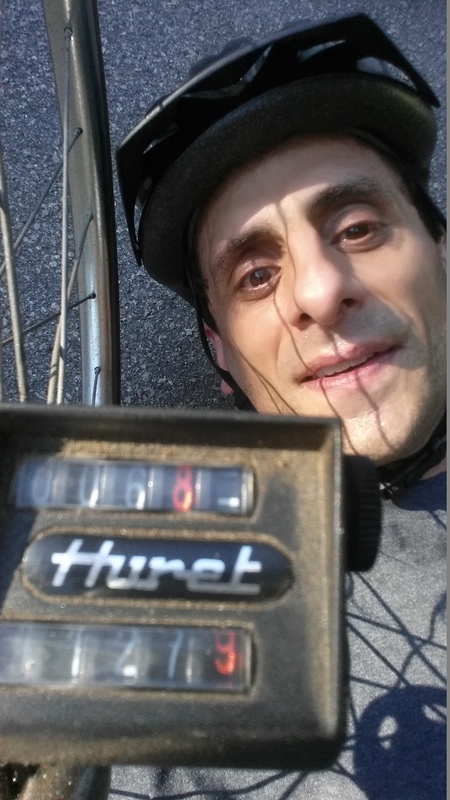 “Number” – A particular weight to attain, how many miles to run (or bike in this mornings instance), increase in chest size from weight training. All things to strive for, but nothing that you should get hung up on. I read about how too many people fail in hopping on the “healthy” bandwagon because they try so hard to reach a number and fail, and then think they failed overall and give up. Being healthy isn’t about a number. Being healthy is a mindset. I think numbers are great for goals to set. But unless you are a competitor where that number may mean the difference between first place and not placing at all, for the general population trying to get into a healthy lifestyle, numbers should just be targets and nothing more. For instance, when you set out to reach a certain weight in a certain time frame, you really have no idea how your body will react to your exercise and nutrition regime. It may take twice as long as you think to lose 10 pounds, but if you quit at 5, you’ll never know. I try my best to live healthy. I consider it nothing more than an insurance policy with no guarantees. Maybe I’ll live to 90, maybe not. But in doing some sort of regular exercise, and trying to eat healthy, I feel I am giving myself a better chance than the alternative. This mornings number – 6.8 (miles). To some a wimpy bike ride, to others a great achievement. To me, just another step in my recovery. It was my ride home from dropping my car off for service. At 4.5 months (hey, another number) removed from my Achilles rupture/surgery, it felt great to be outside doing an activity such as riding a bike. Some say at my age (54) that it “should” take longer to recover. But I choose not to give up just because there is slight discomfort. It’s no different from starting out to exercise. You feel aches and pains you never have before – those are signs of progress. You keep at it, and good things will happen. Sure, there’s always risk of injury (I was jumping rope when my injury occurred), but injury can strike at anytime, anywhere. You just need to be smart. And a number – don’t get hung up on it. It’s a long-term decision to be healthy, and hopefully a way you will live your life. In the long run, if you keep at it you will see results. This entry was posted in General Posts on September 4, 2014 by jparker.